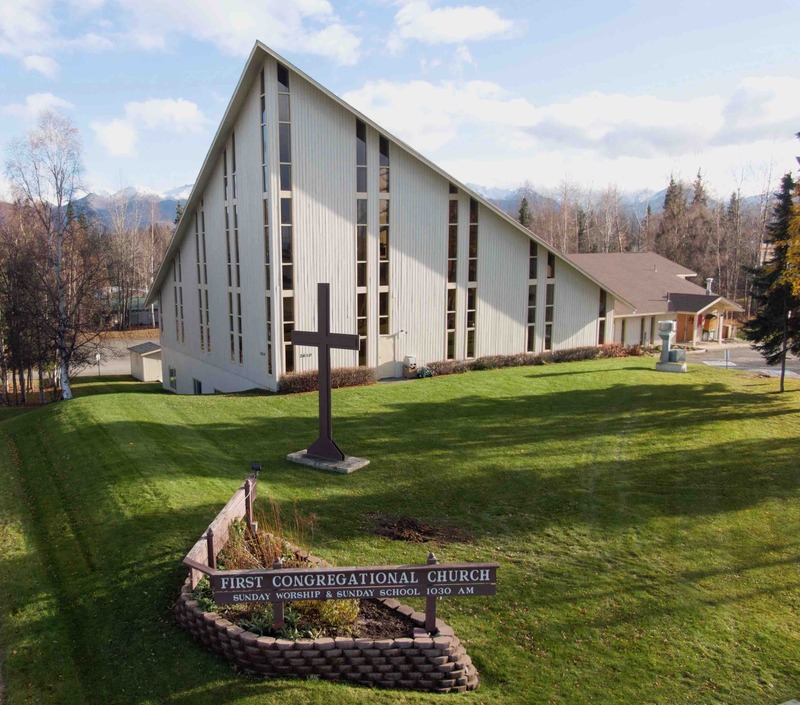 First Congregational Church of Anchorage (FCC) has a long history in Anchorage, AK. It is an open and welcoming Christian community joining together as people learning, growing, and acting in faith. Come as you are. Each member is an equal, vital, and voting member of the congregation. When many voices and imaginations come together, including the many which society and churches have silenced and ignored for centuries, new possibilities arise for all of us. Come and discover what you might hear and share. Our first service of Easter Celebration. 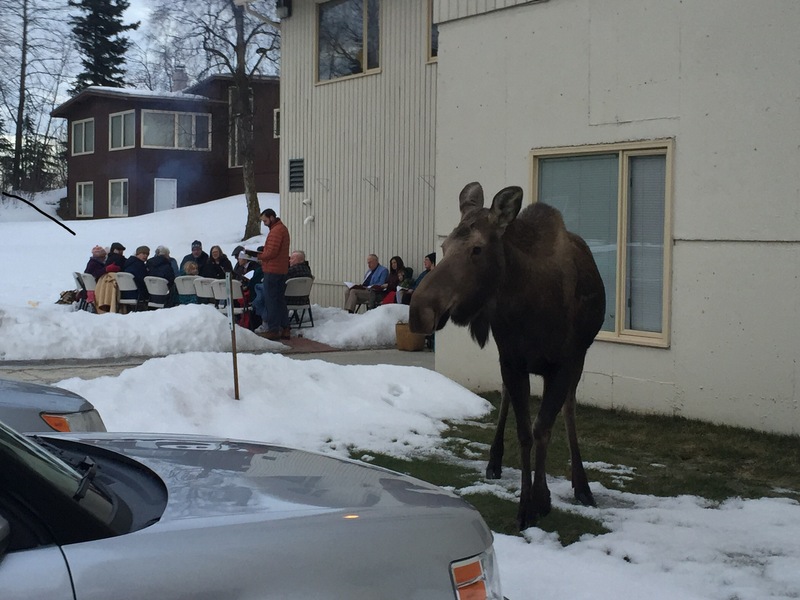 Last year we were joined by Resurrection Moose. This is a more intimate and relaxed beginning to Easter. We sing familiar songs and welcome the morning around a fire pit in the Peace Garden behind the church. Bring a blanket and a warm friend. Then join for a light breakfast from 8:30-9:30. This is our Main Service of Easter Celebration. We proclaim death to life, loss to gain, despair to hope in the name of Jesus. You know the story. Jesus was dead and now lives. All hope was lost, even among the many disciples who followed Jesus. But some believed and remembered. What do you believe and remember? Join us for Easter and proclaim for yourself a knew hope when all was lost. Looking for a Church Home in Anchorage? First Congregational Church of Anchorage is a great place to experience God with others, learn more, and grow deeply in your faith. God continues to do exciting things through all of us! 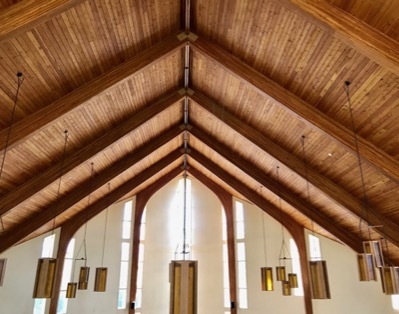 Receive news and updates from First Congregational Church of Anchorage in your inbox.